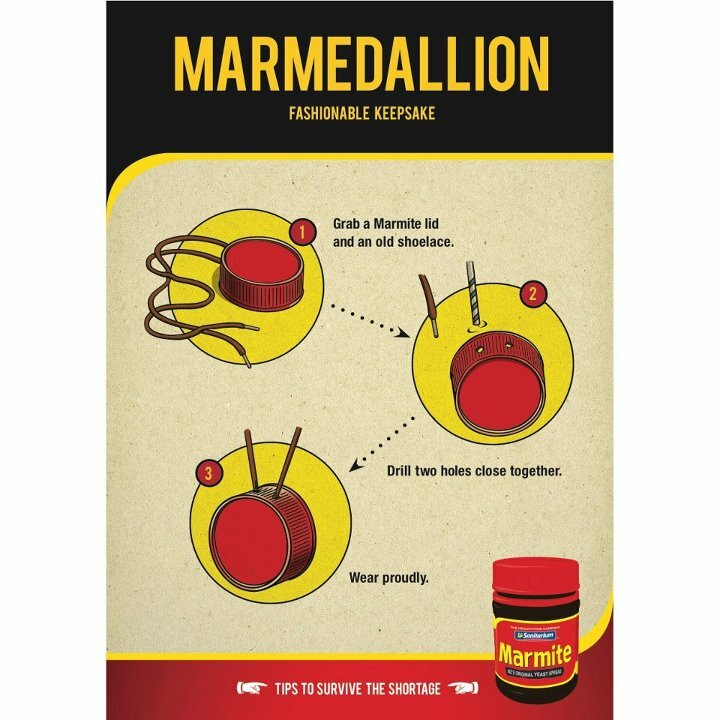 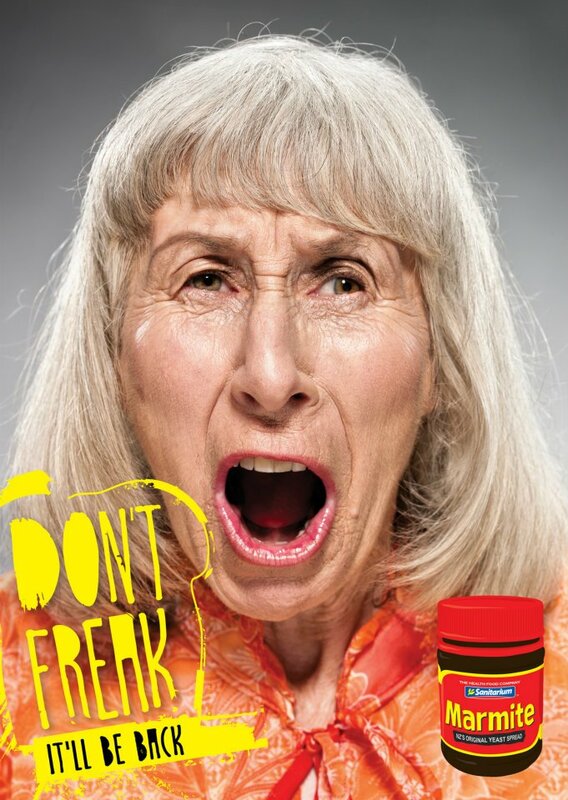 Sanitarium, the producer of Marmite in New Zealand, is supporting fans of the yeast spread through the suspension of Marmite production with an integrated advertising campaign with the tag line, “Don’t Freak”. Earthquake damage to the company’s factory in Christchurch has led to the disappearance of Marmite on supermarket shelves in New Zealand and Australia. 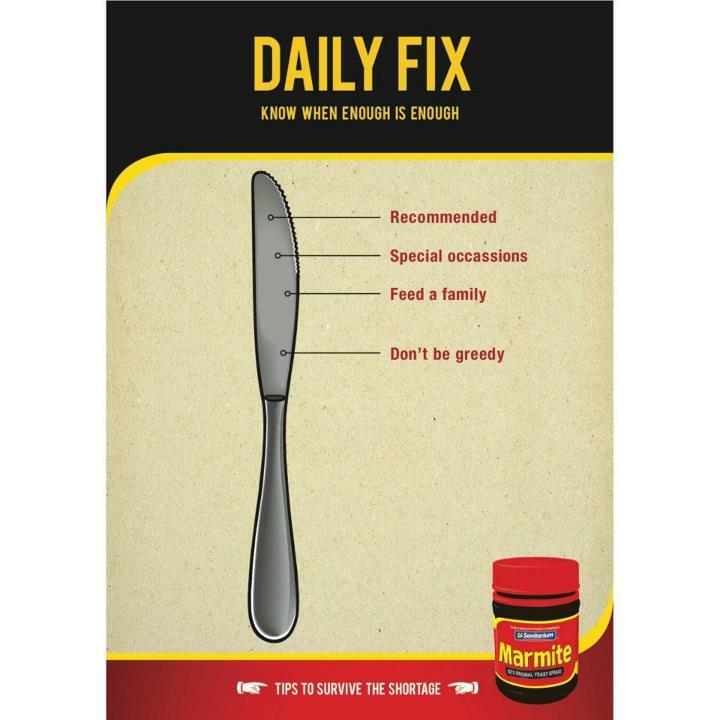 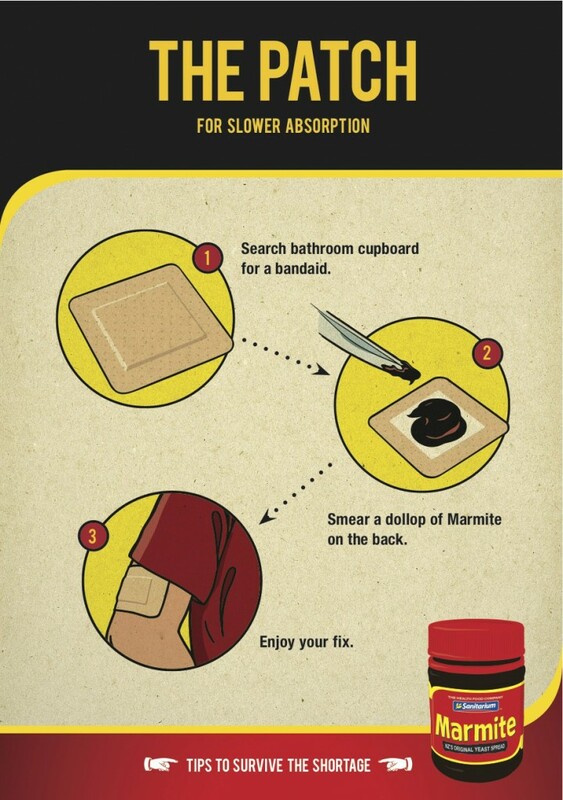 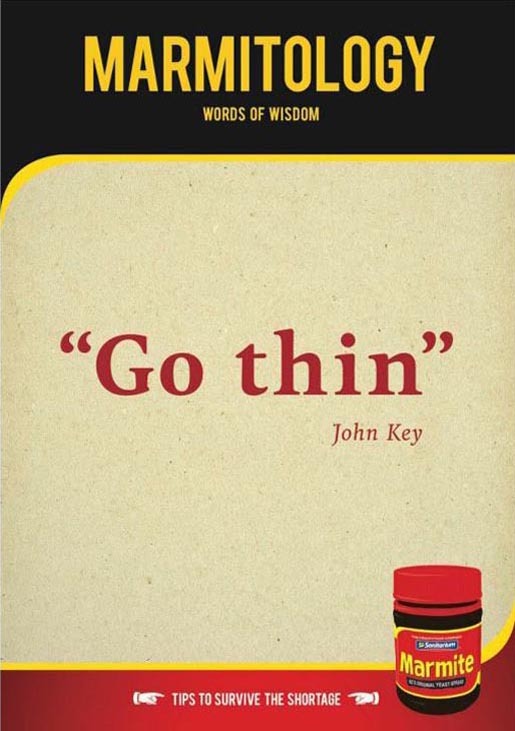 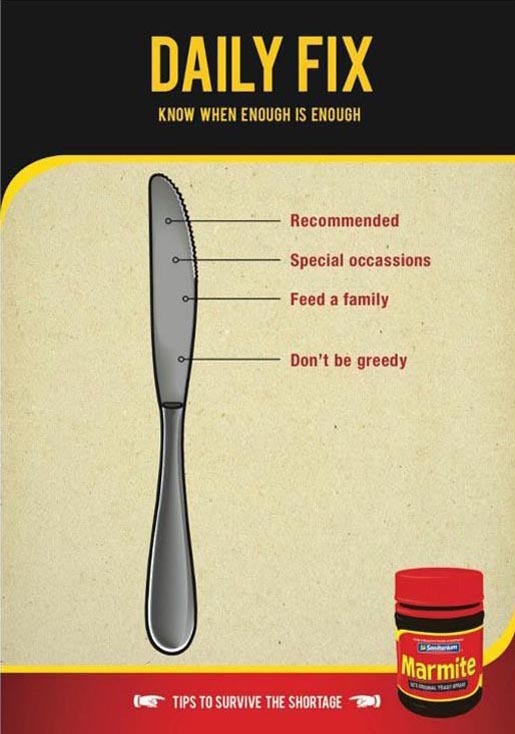 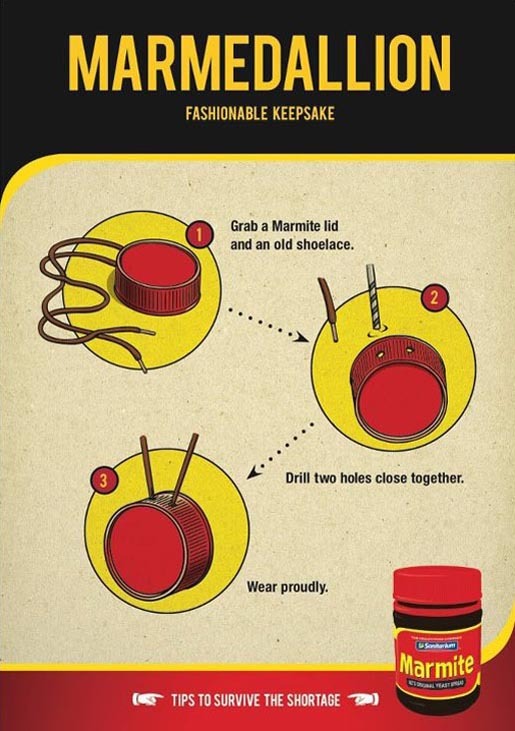 The campaign, launched in April 2012, includes a television message from All Blacks coach Sir Graham Henry, a series of street posters, and on the Marmite NZ Facebook page a collection of tips for surviving the shortage. 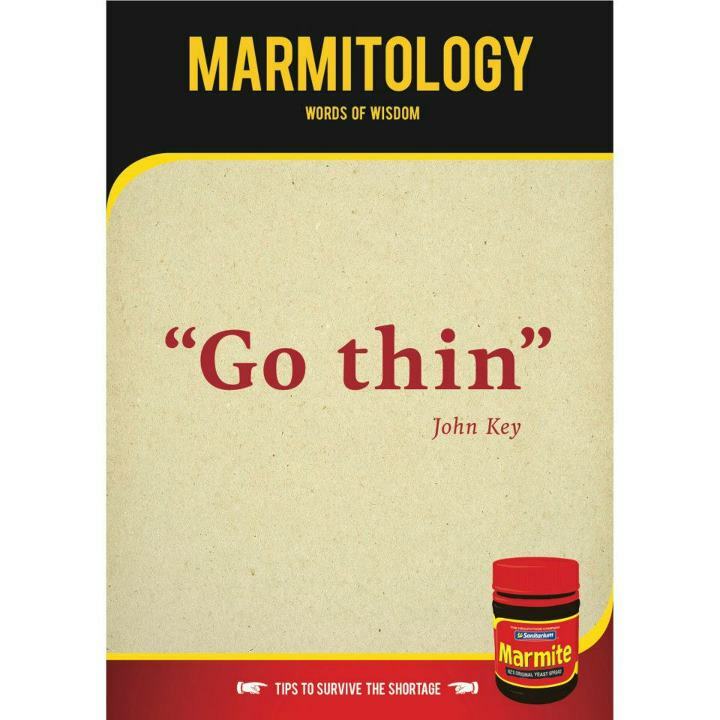 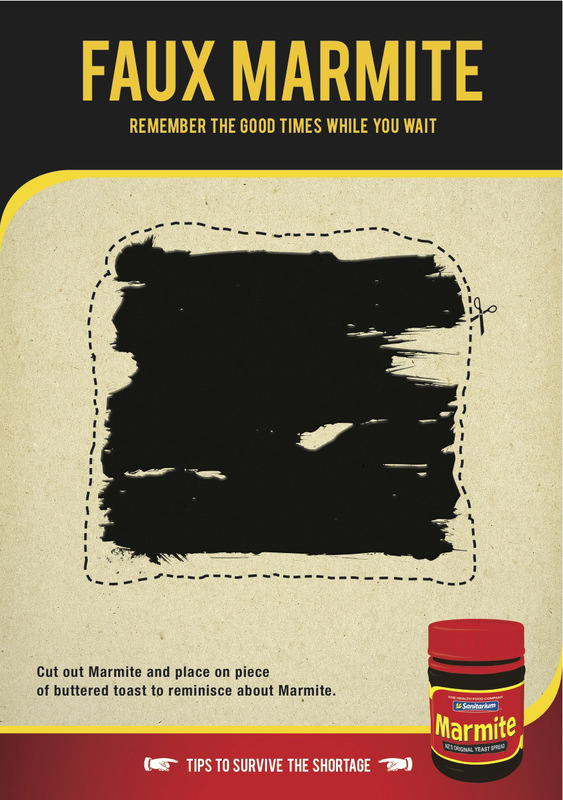 The Marmite campaign was developed at Saatchi & Saatchi New Zealand, Auckland, by executive creative director Antonio Navas, art director Cory Bellringer, copywriter Matt Sellars, graphic designer Barney Chandler, head of TV Jane Oak, strategic planning team Murray Streets, Sarah Hodgetts, group account director Shelley Winsor, senior account manager Natalie Gibb, account executive Ashley Zaragoza, working with Sanitarium marketing team Pierre van Heerden, Steven Read, Hayley Findlay and Jane Grayson. 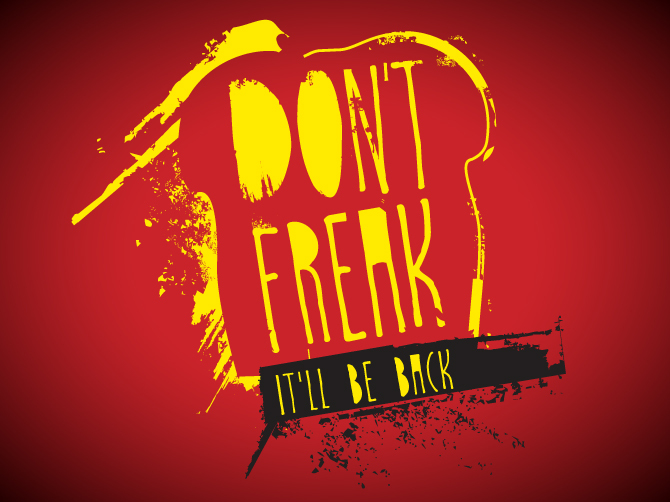 Filming was shot by director Toa Fraser via Smasher Films with producer Claire Kelly. 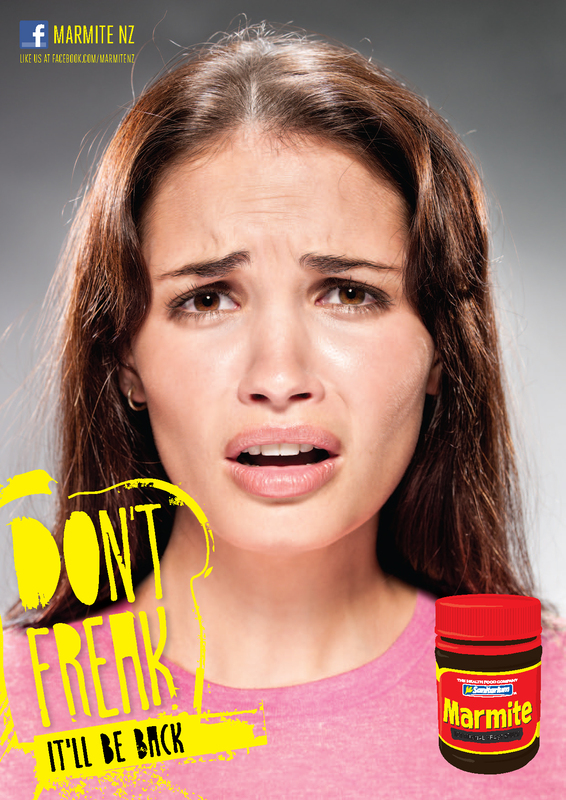 Editor was Dan Kircher at Sparks. Visual effects were produced at Blockhead. 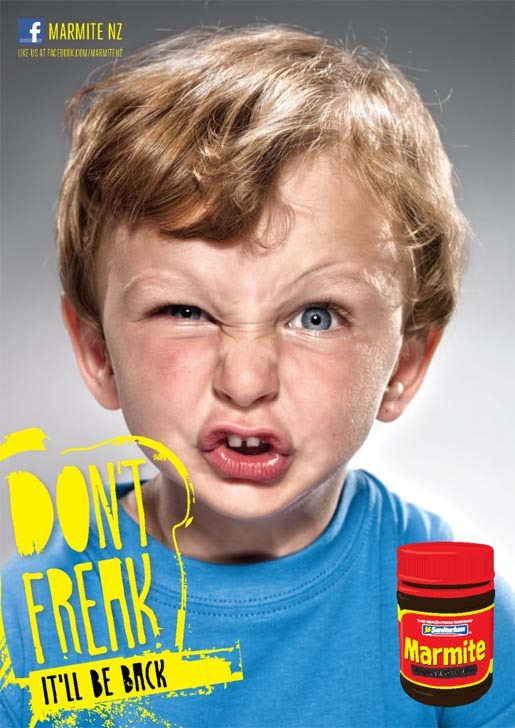 Photography by Steven Boniface was retouched by Nick Browne with production manager Paul Gibson and stills producer Loren Bradley. Media was planned by Helen Brown and Fou Brown at Spark PHD.